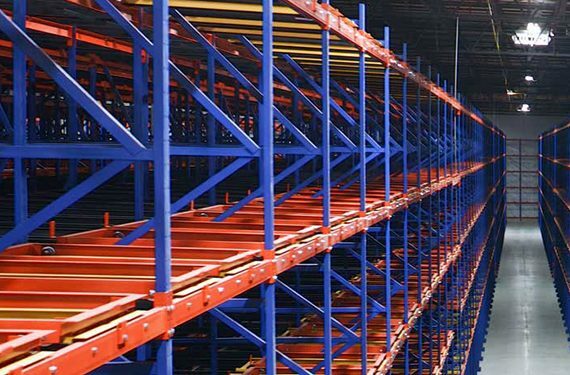 Drive-in rack and drive-through rack both provide high-density pallet storage with fewer aisles. 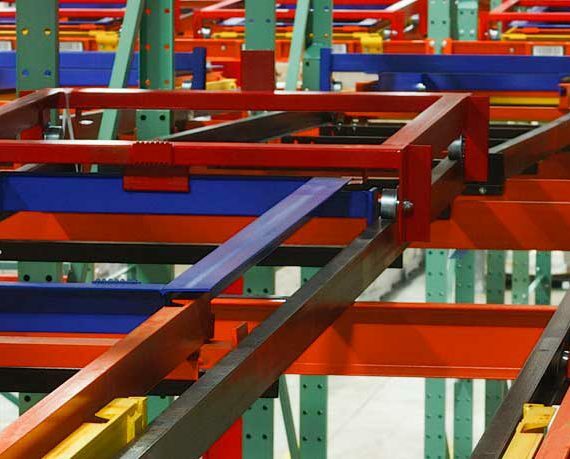 Comprised primarily of vertical upright frames, horizontal support arms, and horizontal load rails—both are typically used for one-wide by multiple-depth storage. In a drive-in configuration, all loading and unloading are done from the same aisle. Conversely, drive-through rack is open at both ends of a bay, enabling material handling equipment to enter and exit from either end. 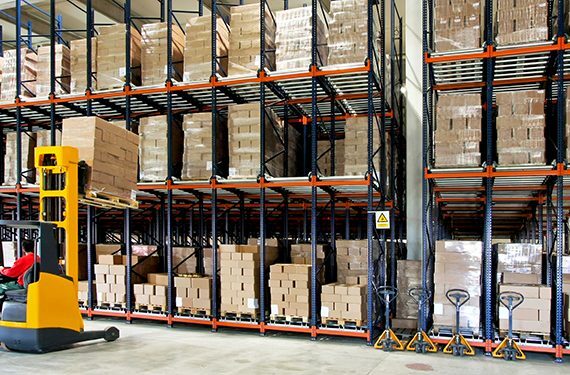 However, because material handling equipment operators load and unload pallets of products inside both of these racking structures, the risk of an unsafe situation caused by an impact to the rack structure is higher than other types of storage rack. Design and engineer the system to the proper storage configuration and capacity. 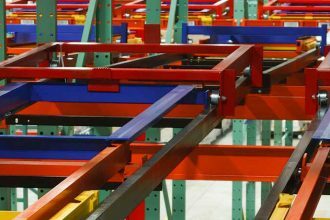 To ensure the safest system, every racking structure—including drive-in and drive-through—should be designed by a qualified, professional engineer with experience in the creation of rack storage structures to match the specifications of the stored loads. 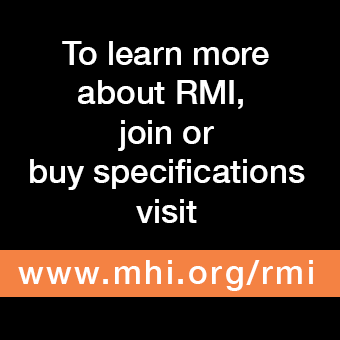 The engineer should also use the applicable guidelines in RMI’s ANSI MH16.1-2012: Specification for the Design, Testing and Utilization of Industrial Steel Storage Racks. 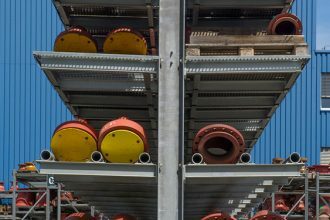 Because of the openings within these racking systems, there may be special design or structural considerations made for installations in regions that are more prone to seismic activity. Implement a comprehensive material handling equipment operator safety training program. Forklift operator training with respect to navigating within drive-in and drive-through rack should include awareness of potential impact points on both sides of the bay as well as overhead, and any maneuvering limitations. Additionally, due to the dense nature of these systems, the storage bays themselves tend to be darker than traditional selective rack systems. To compensate, the forklift should be outfitted with lighting attachments that illuminate the surroundings in order to help the operator maneuver within the system. Ensure that proper pallets are used. 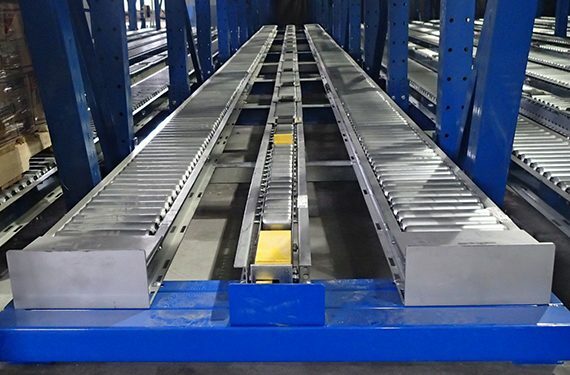 Since pallets are supported only along their outer edges by the drive-in rails, it is very important to confirm that the pallets have sufficient capacity and are engineered to work in a drive-in application. 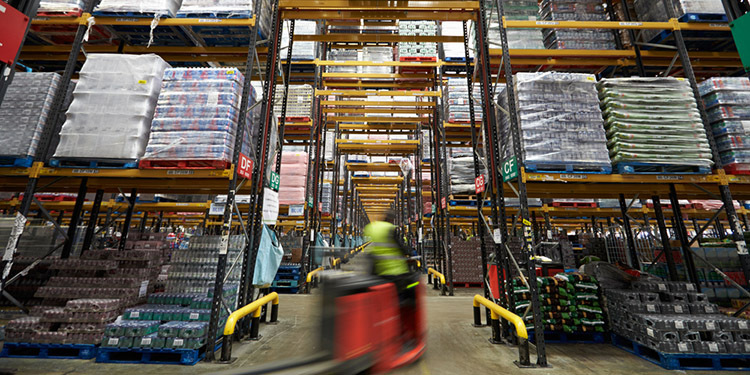 Because pallets are suspended between the two rails, to reduce the risk of pallet collapse, it is important to verify that they are not damaged or missing a bottom board.